In 1943, at the American Legion 4th of July Rodeo in Huron, 16-year old Sid Glanzer borrowed a miniature Speed Graphic Press camera. The rodeo had had a sell-out crowd and Glanzer was the only camera man there that day. An unknown kid by the name of Casey Tibbs was about to legally ride in the rodeo for the first time. Before the ride, he wanted to enhance his photography and asked Casey Tibbs, then 14, to wear his hat loose so it would fly off while the horse was bucking. Glanzer captured the rough ride, jumped on his bicycle to pedal to his darkroom and develop the results. At a later time, Sid met up with Casey again and showed the photo to him. Casey said, "Sid, I do believe this picture is the first rodeo action shot of my career. 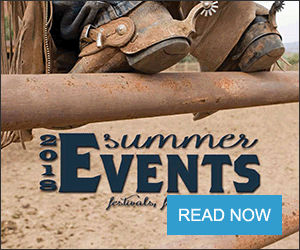 This could be the beginning of a great Rodeo Legend." Sid replied, "It sure could, Casey." Casey poked his trigger finger into Sid's chest and said "Sid, guard that perfect negative with your life. Sid answered "I sure will, Casey," and protect it, he did. The secret negative and photo have been secured in a Montana lock box from 1943 until 2013. For more than 70 years he told no one of his secret photo, until just before Glanzer's death in 2016. 9-time World Champion Tibbs had died more than two decades earlier. Glanzer's "will executor" sent the photo and negative to its' final resting place this month at Fort Pierre's Casey Tibbs Rodeo Center. 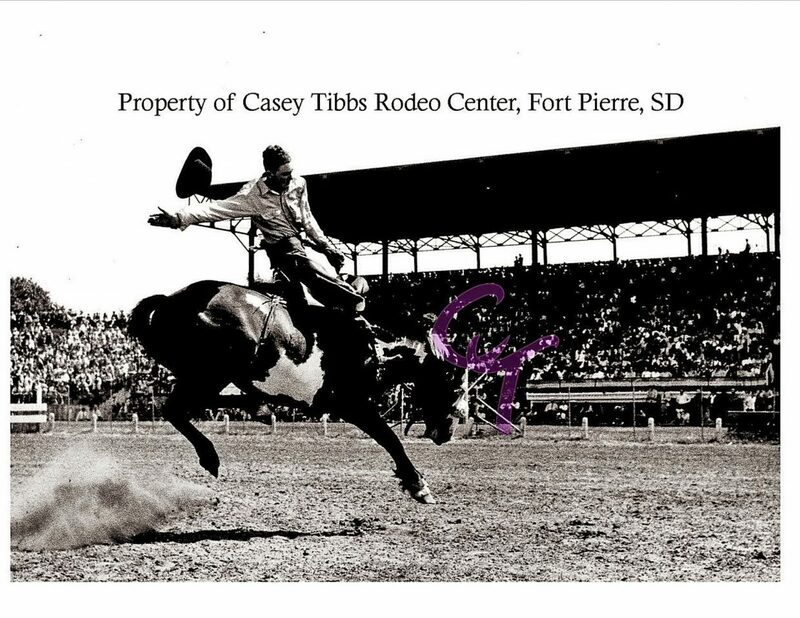 Also included was a note from Tibbs: "Sid, regardless how many years it will take, you'll know when your timing is right to show the world your awesome, incredible first action rodeo shot of mine. My very best to you. Casey Tibbs, 1943." Glanzer began his photography doing portraits and was the chief photographer for Northwest Public Service in Huron for 30 years. Throughout the decades he considered his photo of Tibbs his most prized photography possession.